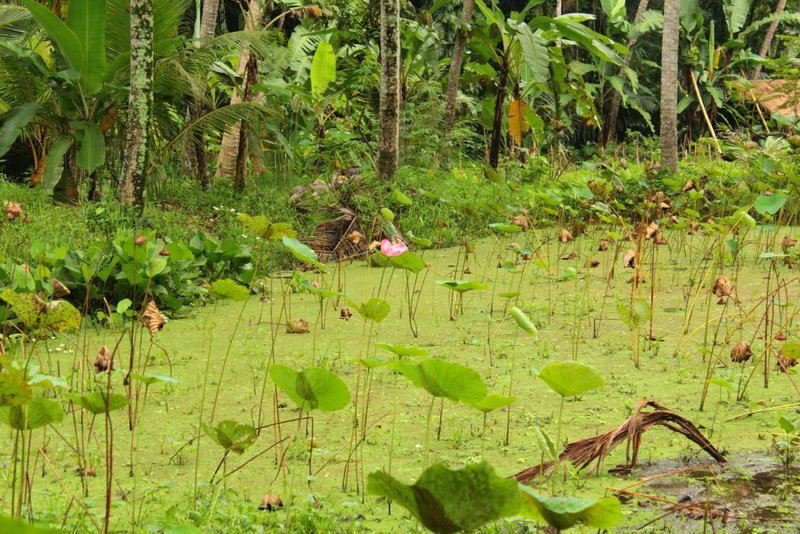 This is one of our lumbungs, located in the middle of our permaculture garden, surrounded by fields with organic veggies and fruit. 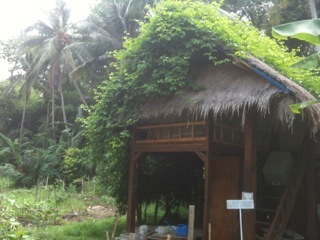 A passion fruit plant has grown over the roof of our garden Lumbung and by now it covers the whole straw roof. The plant carries plentiful fruit, but they are not ready to harvest yet. The fruit needs to get more yellow. 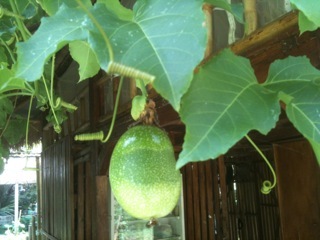 The ripe passion fruit, after cutting it open, contains juicy brown seeds with a sweet-sour taste. Very refreshing! 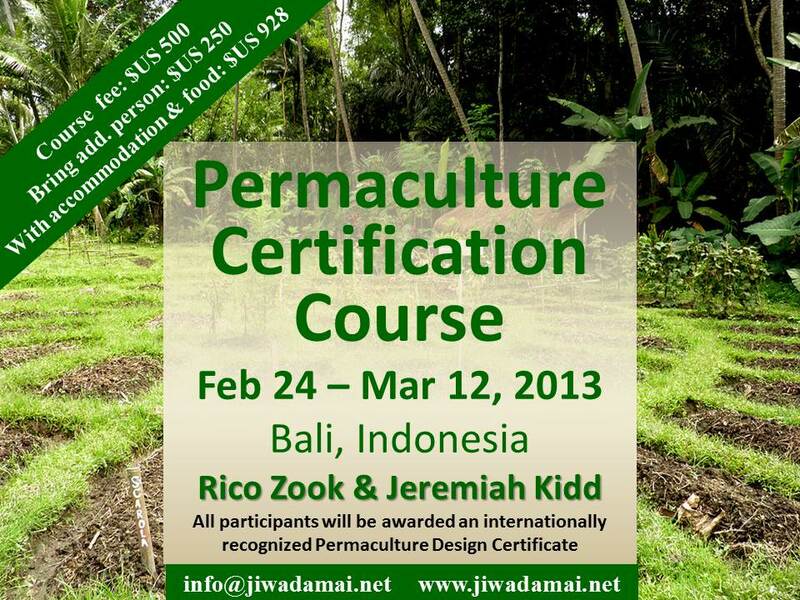 In addition, we are also offering a 4 week internship, Permaculture Through The Heart, from May 1st – 29th. 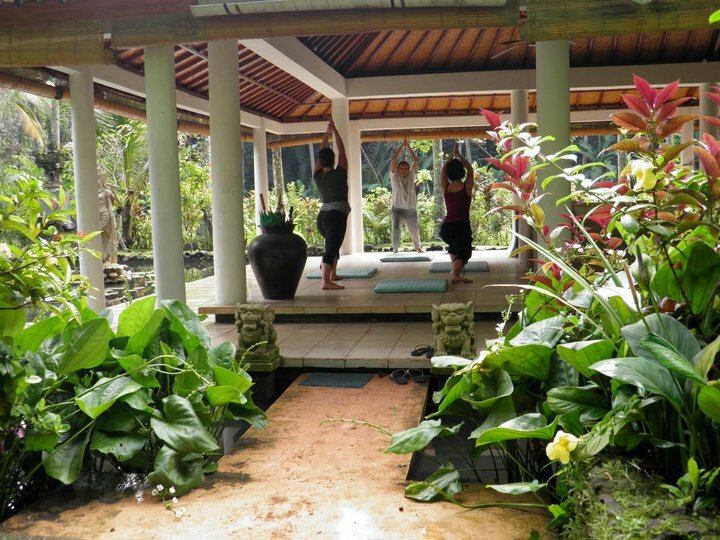 Participants have the option of taking each of the first two weeks separately if desired. Week 1 covers classical permaculture techniques. Week 2 is unfolding the HeartSelf-intelligence; an experiential transpersonal psychological approach to self exploration. These core principles will be combined for the final two weeks in the form of group and individual environmental projects. Aitor and Justin, our two volunteers, as well as Wira, Jiwa Damai’s coordinator, were getting ready to get into the mud of the lotus pond. To avoid possible skin irritations they covered their legs with large plastic bags, which are held at the top of the legs with tapes. 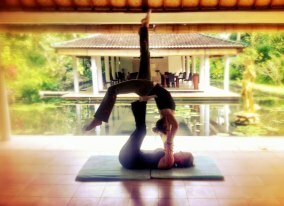 Join us for yoga class !